The problem of determining the steady state flow of granular materials in silos under the action of gravity is considered. In the case of a Mohr-Coulomb material, the stress equations correspond to a system of hyperbolic conservation laws with source terms and nonlinear boundary conditions. 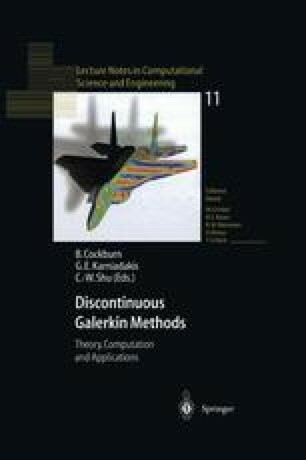 A higher order Discontinuous Galerkin method is proposed and implemented for the numerical resolution of those equations. The efficiency of the approach is illustrated by the computation of the stress fields induced in silos with sharp changes of the wall angle. This research was supported by the Army Research Office (ARO) through grants DAAH04-95-1-0419 and DAAH04-96-1-0097, by the National Science Foundation (NSF) through grant DMS-9818900, and by a grant from the North Carolina Supercomputing Center.